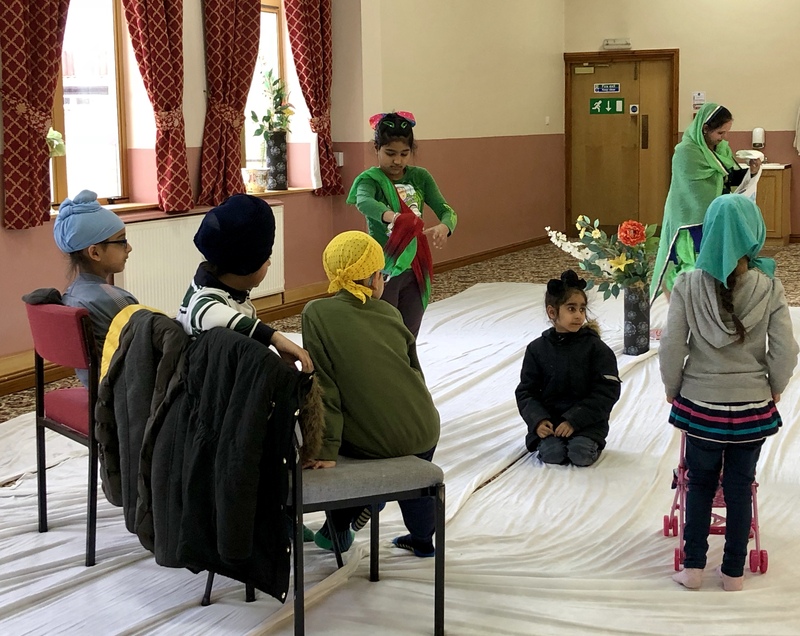 An annual day camp takes place at the gurdwara with a different theme each year. 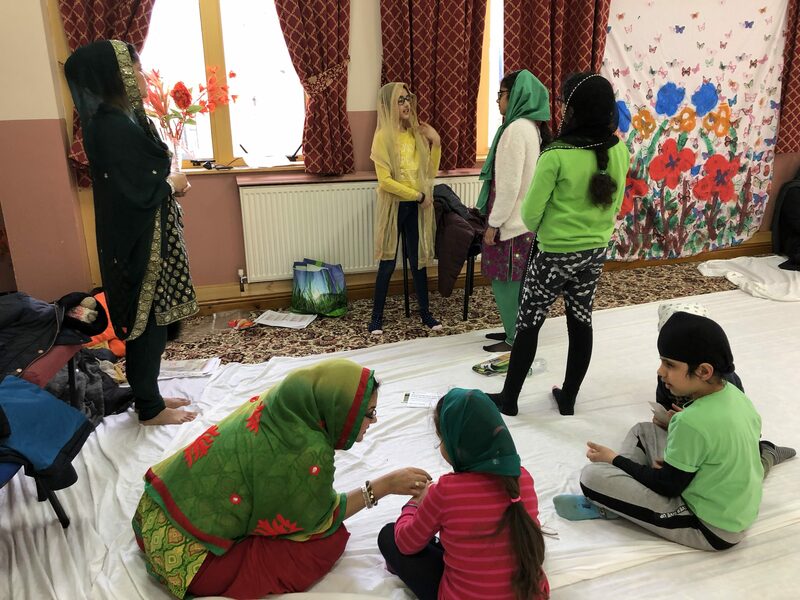 This year it was Sikh Environment Day (SED), led by a fantastic team of Panjabi schoolteachers, mothers, a guest from Bradford Public Health England as well as young professionals from the local community. They provided the children with positive role models. The children thoroughly enjoyed the day. The team thanks all the sevadaars wholeheartedly as without them, these events would not be possible. 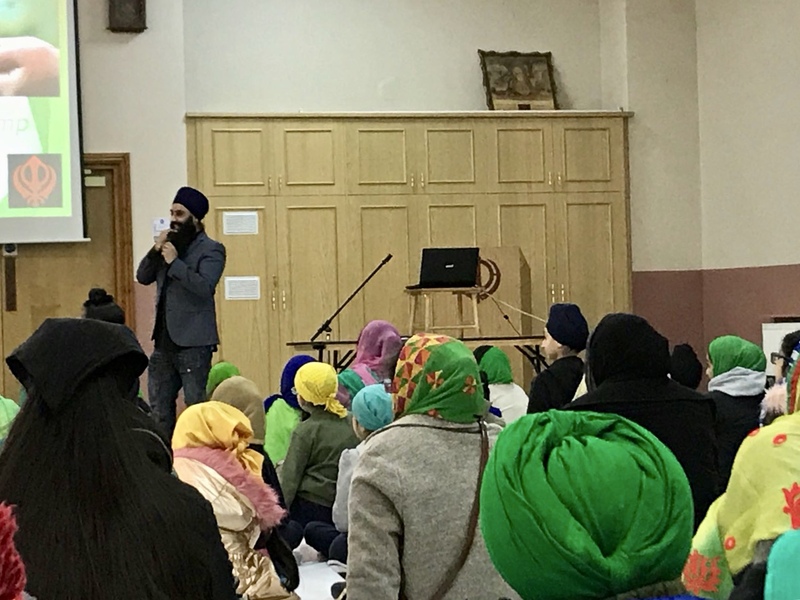 Kam Singh, a guest speaker from The Sikh Channel, inspired the children with news of youth projects being undertaken in the UK and abroad. One of these included sleeping outdoors for a few nights in December, to commemorate the nights spent by Chottey Sahibzadey and Mata Gujri Ji in the Thanda Burj and experience how the elements of nature can be so pleasant and yet so torturous. 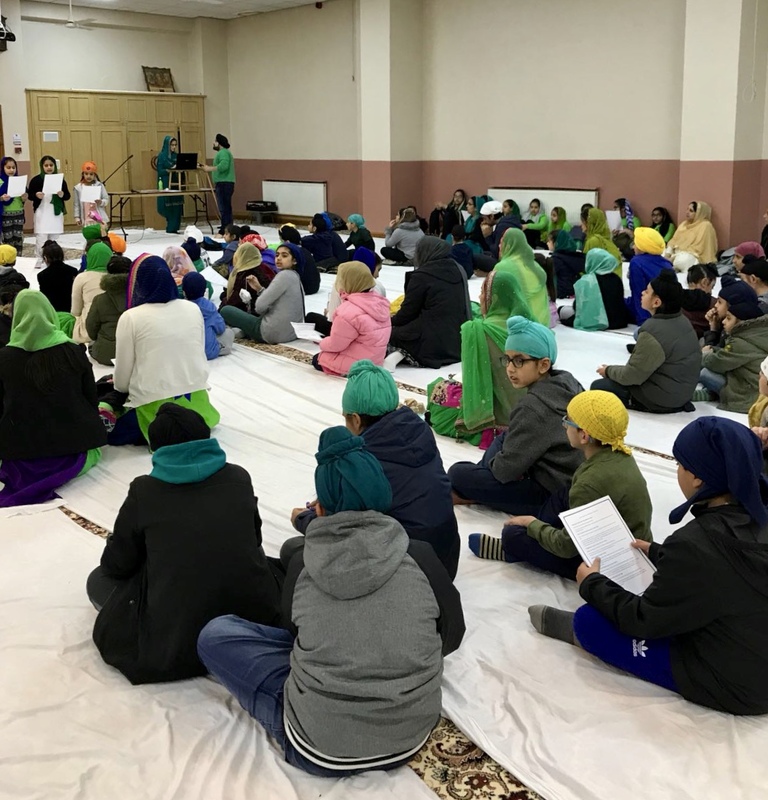 Shabad kirtan – special guests were invited to perform the shabad “pavan guru paani pita,” and the children were provided with sheets containing the translation and wording. 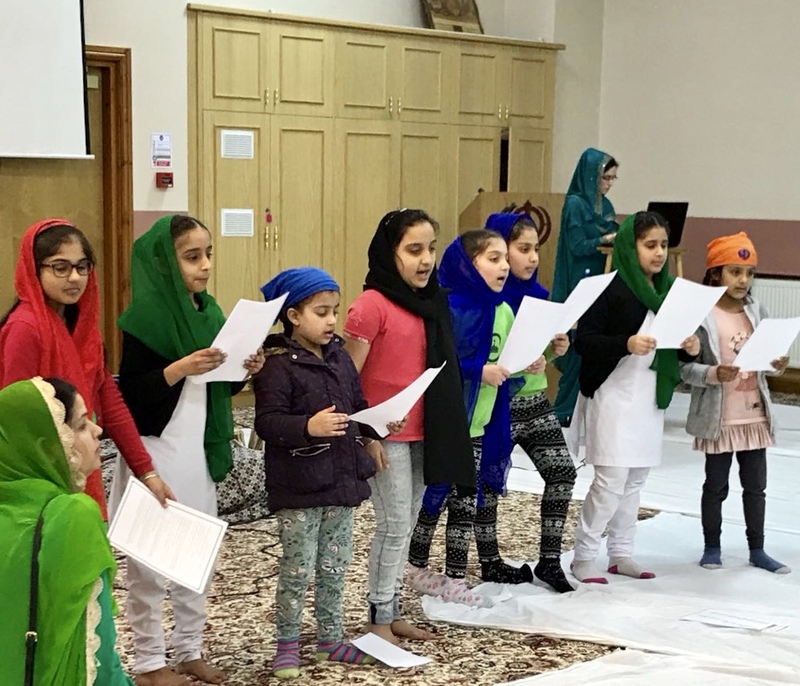 The guests were three young girls aged 15-17 who regularly perform kirtan at different gurdwaras around the country. The children were inspired to hear their story of how they began and learnt to play the instruments. 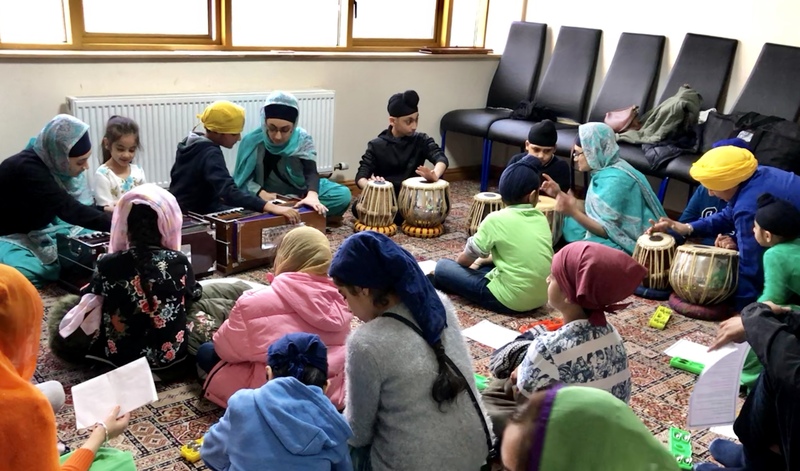 The groups all had a chance to play harmonium, tabla and chenney, sing together, and realise the power of singing shabad together in harmony to gain anand (bliss). 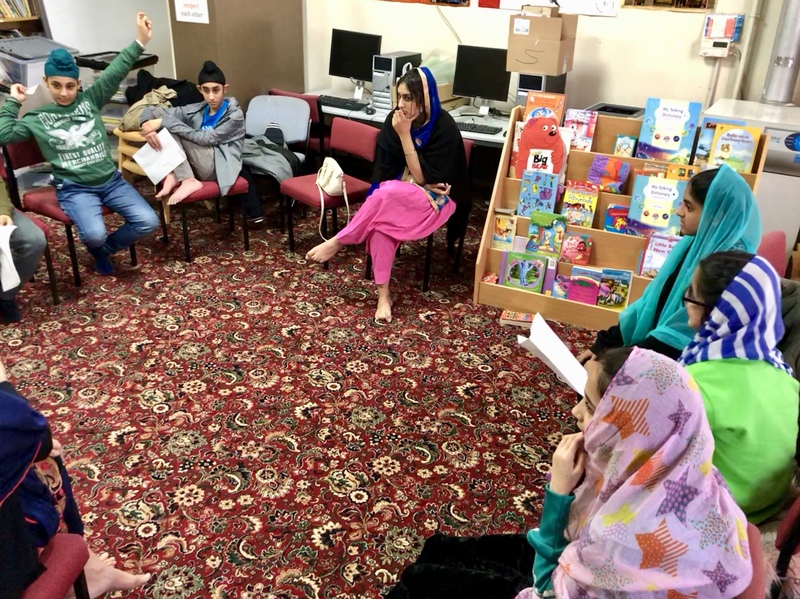 Role play and debate – scenarios, boxes of props and scripts were provided to the group to help them put together a short play. 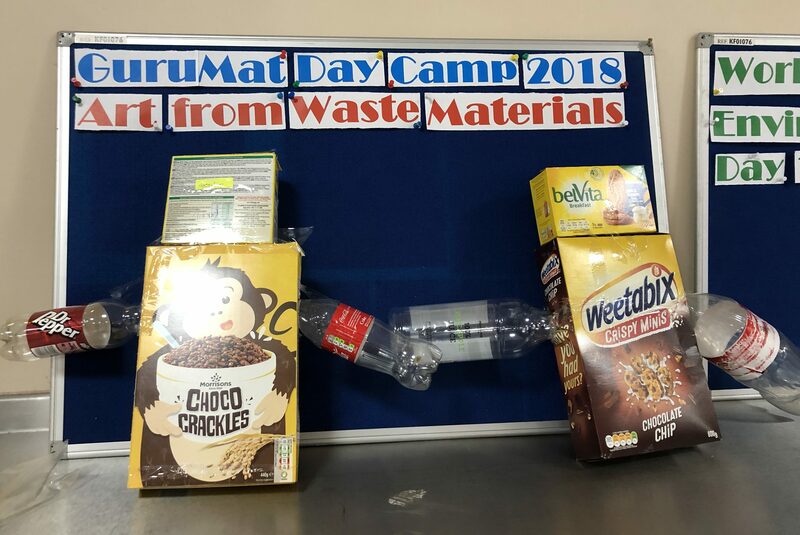 The scenarios were about litter and pollution in outdoor open spaces and the other was about waste of resources in the home. 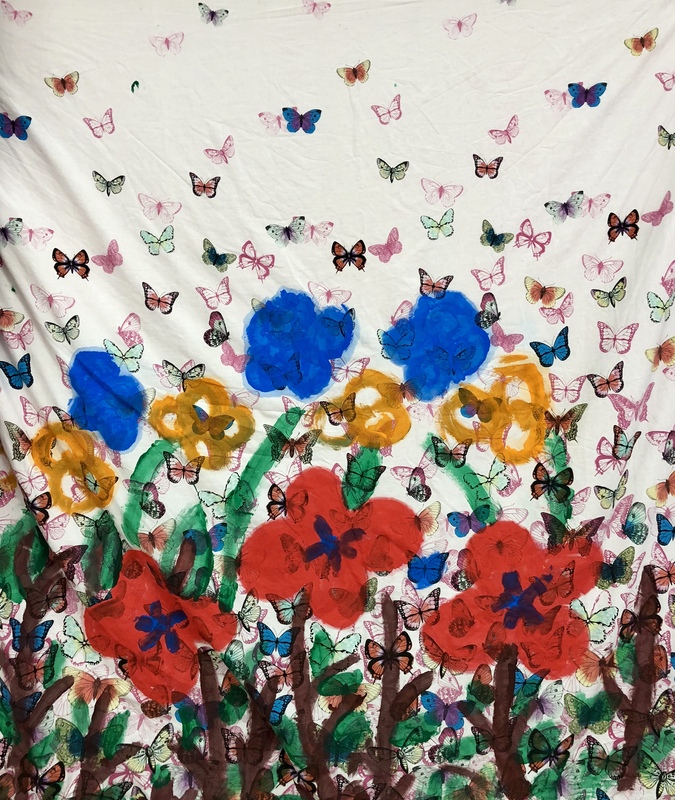 The children used some very imaginative and comedic ways to put across a serious message. It was one of the most popular sessions. 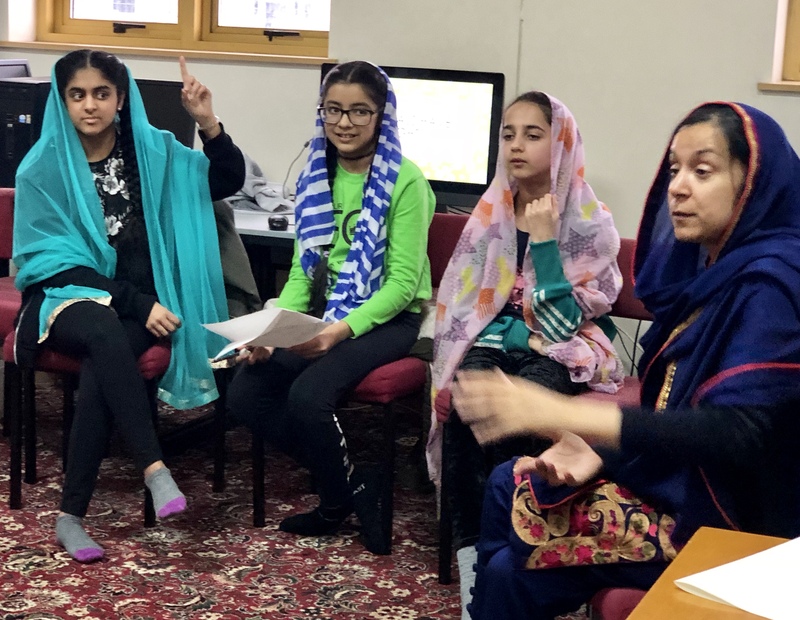 The older children were divided into a “for,” and “against,” group and asked to research and prepare a debate on animal testing with some guidance on appropriate websites. This was very interesting and thought provoking for the young developing minds and often overran due to the energy and passion they had! Prizes were given to the best performing team at the end of the day. 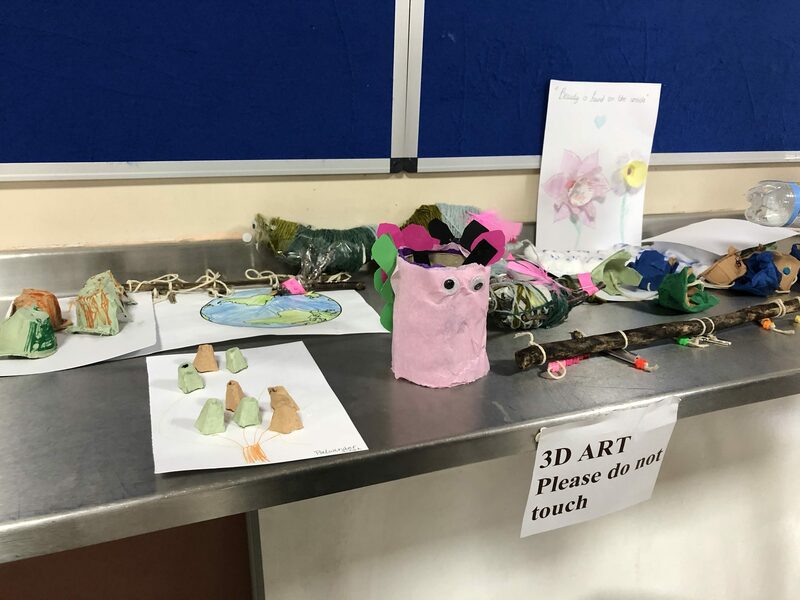 Arts and crafts – the aim of this session was to create and decorate models made from waste materials such as plastic bottles, bottle tops, straws, boxes and cartons to demonstrate resourcefulness and creativity. 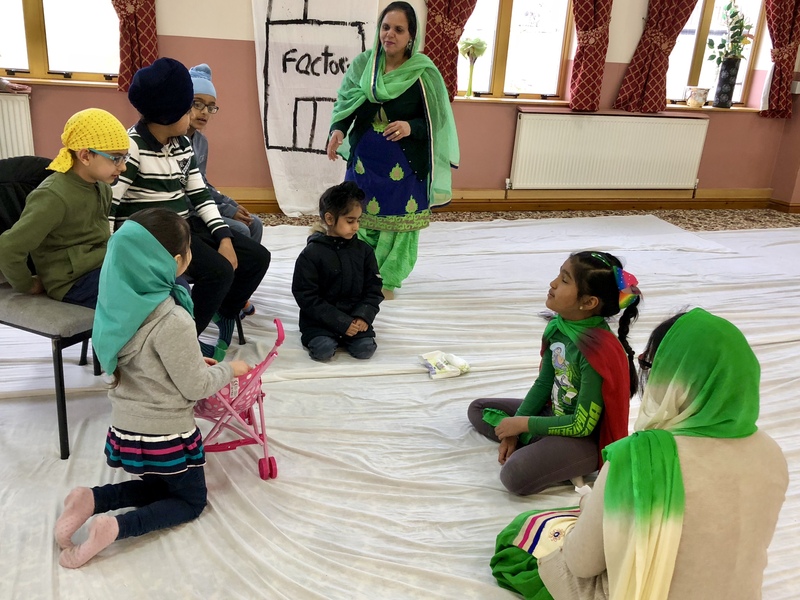 The imaginative faces, robots and animals were displayed in the langar hall. 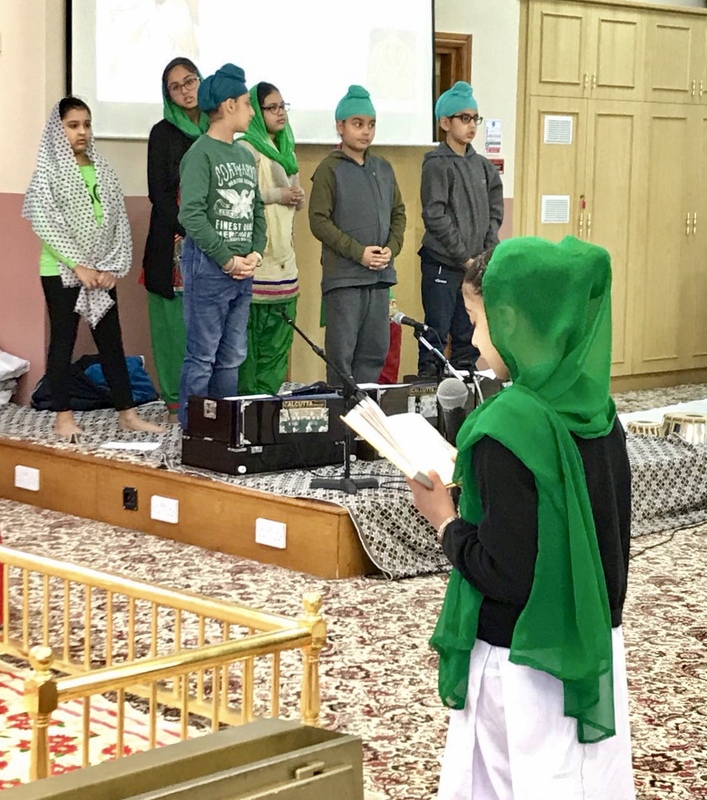 Guru Har Rai Ji Sakhi, modern day environmental matters and quiz – children were provided with images to discuss the history of Guru Ji and facts about pollution today. A very exciting quiz at the end of the session, brought out the competitive side of the children and prizes were given to the winning teams. 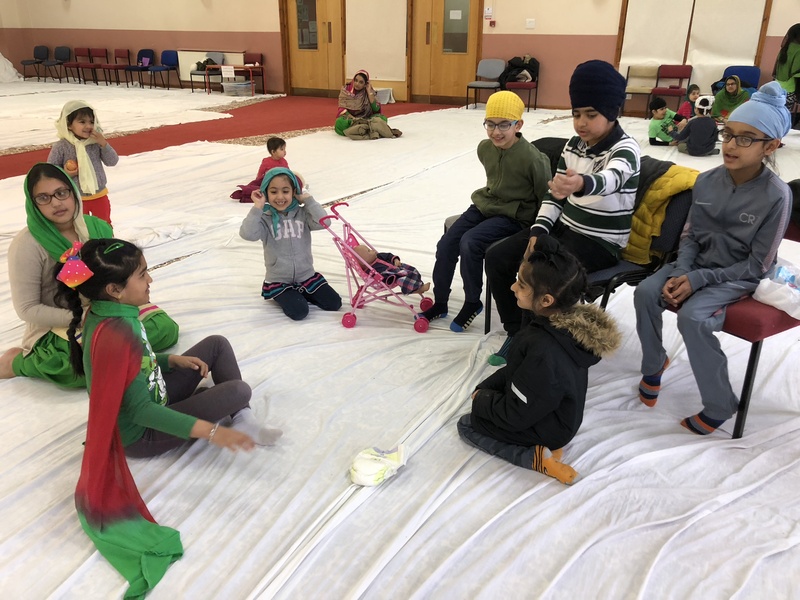 Physical activity and healthy eating – The children enjoyed the opportunity to run around and have fun on the obstacle course. 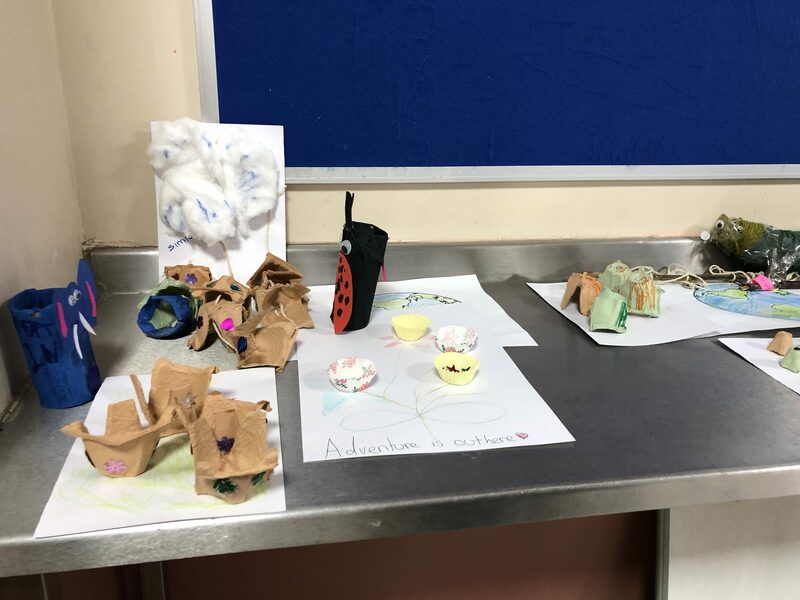 Children learnt how to make healthy tasty smoothies and experience working in the kitchen as a lifelong skill. The day closed with a whole group screening of the powerful film, “A Little Gardener,” made in India by Vigaas foundation and Ecosikh. It is about a young boy who discovers the emotional and physical power of nature through a journey in life. 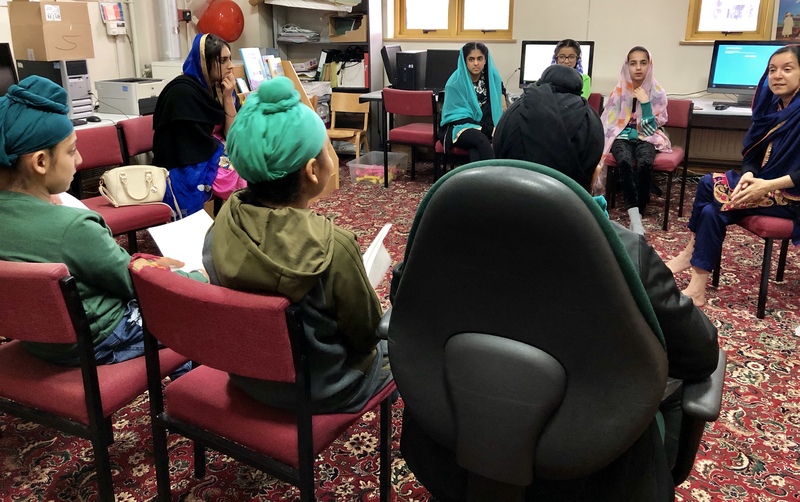 A short discussion followed the film, on the feelings and emotions it raised around bullying, loneliness, love and kindness, issues which are all particularly relevant to children today. 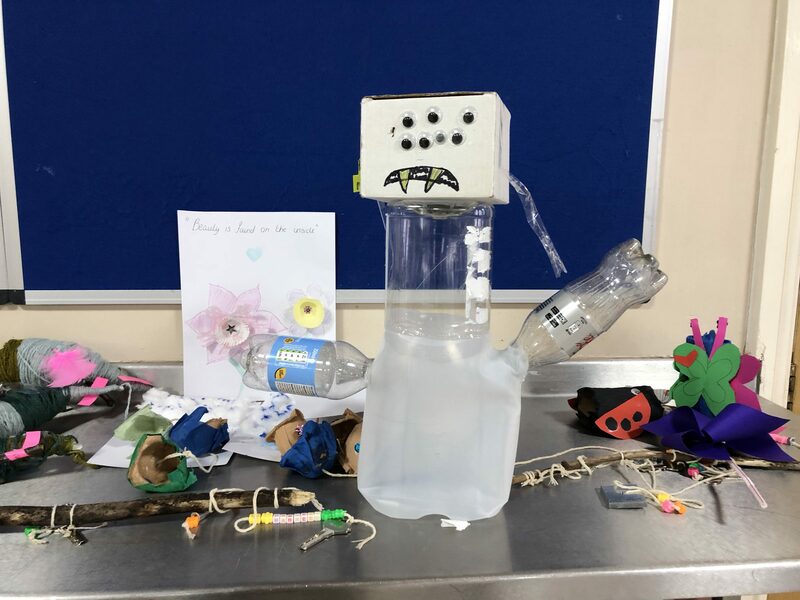 Each child was presented with a gift in line with beating plastic pollution – a reusable water bottle, which would also hopefully encourage the children to be healthier by drinking more water. 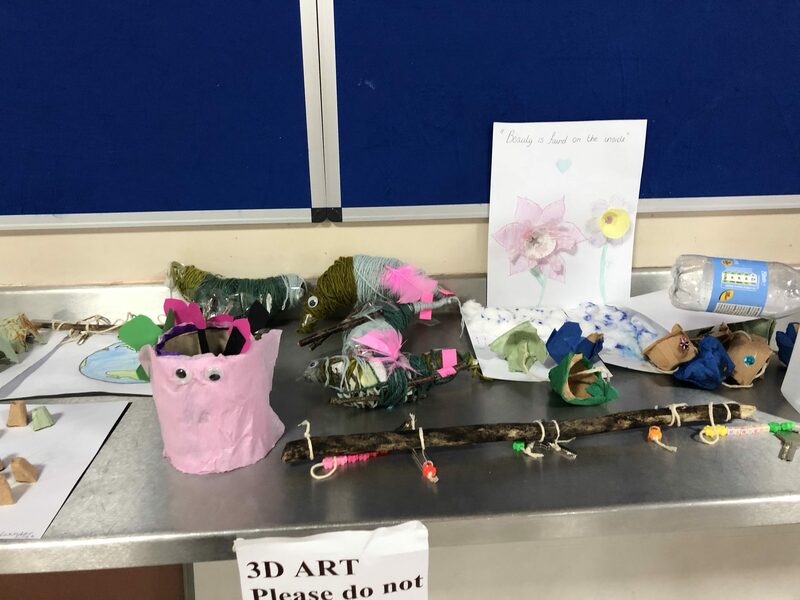 Presentations on environmental topics by guest speakers and some of the children. 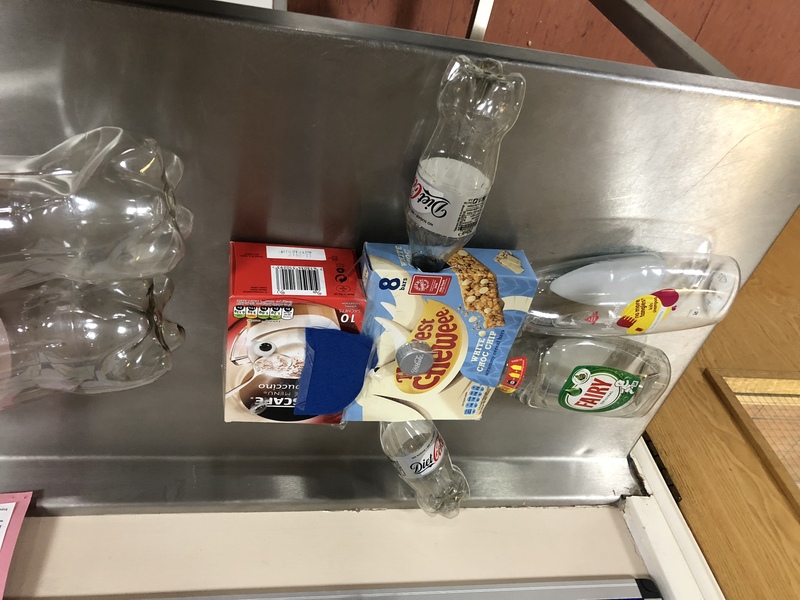 Making 3-D models from waste packaging such as plastic bottles and cardboard boxes. 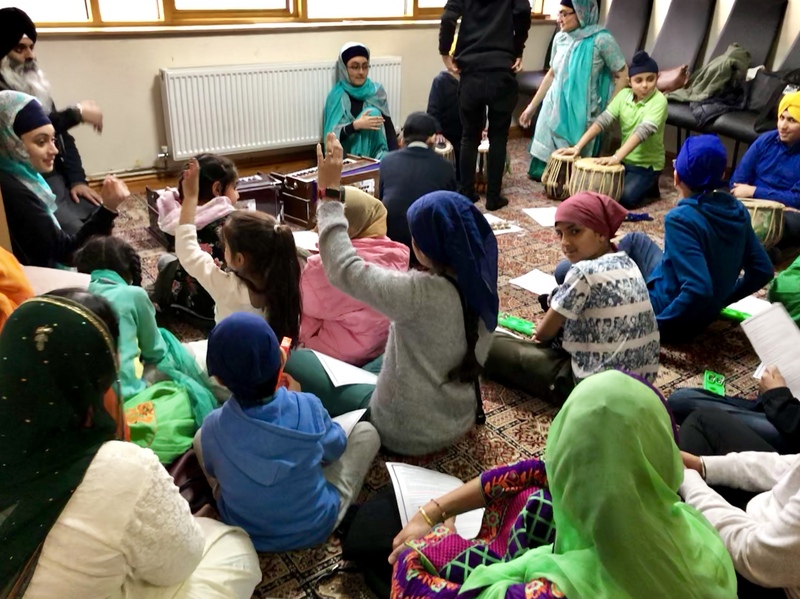 Reciting kirtan and learning musical instruments such as the harmonium and tabla. The children were split into 2 teams and given an environmental topic to debate. 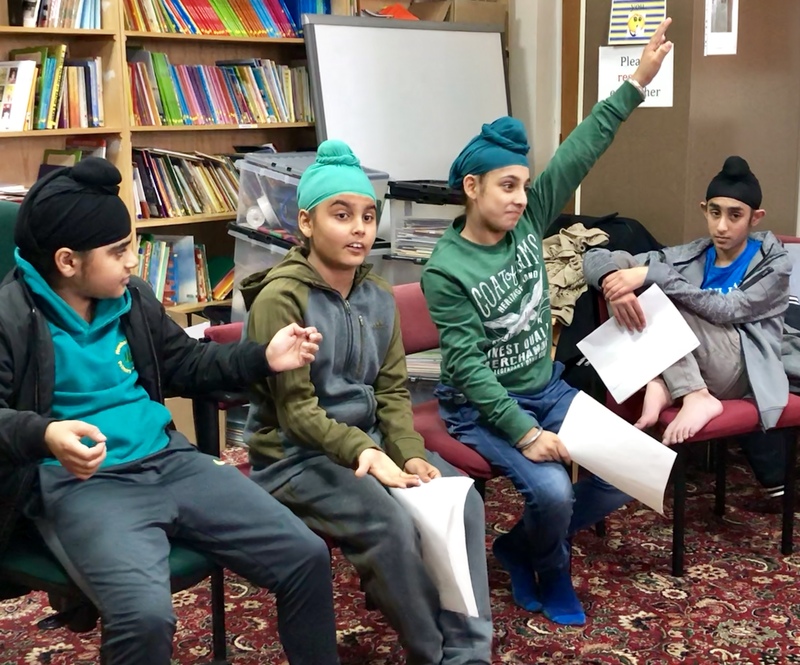 They were encouraged to listen to the other team and present their arguments and counter arguments in a clear and logical manner. 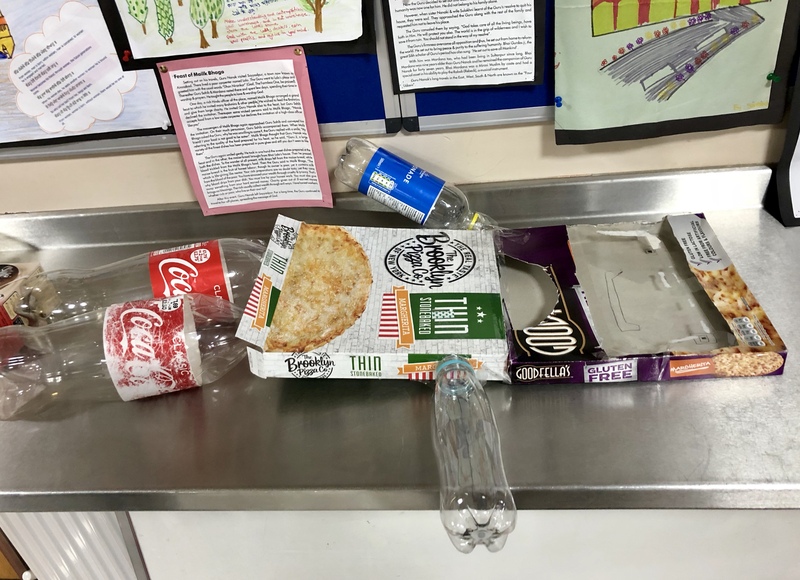 Children worked in groups to use role play and work on different environmental issues such as rubbish being left on the streets and the effect of pollution on the environment and people. The following video shows an example of one of the role play sessions.